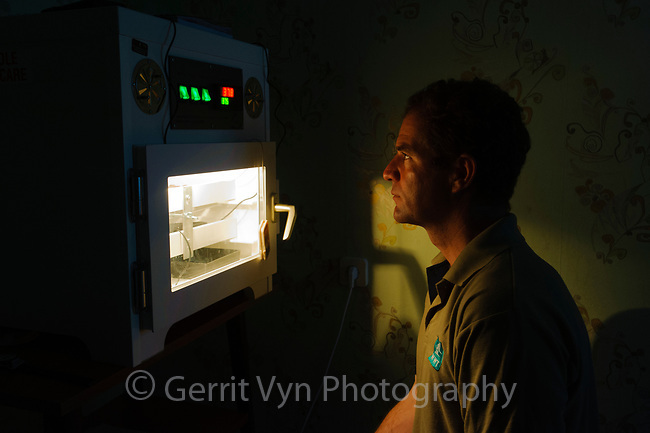 WWT aviculturist and head of conservation breeding Nigel Jarret watching the temperature on an incubator containing Spoon-billed Sandpiper eggs. Chukotka, Russia. July.